day 299 and we are now just a day away from beginning our easter festivities. this year things will be a lot different than normal. with change to the usual holiday activities, due to injury, there is freshness but some of my old favourite traditions are still doable this year. 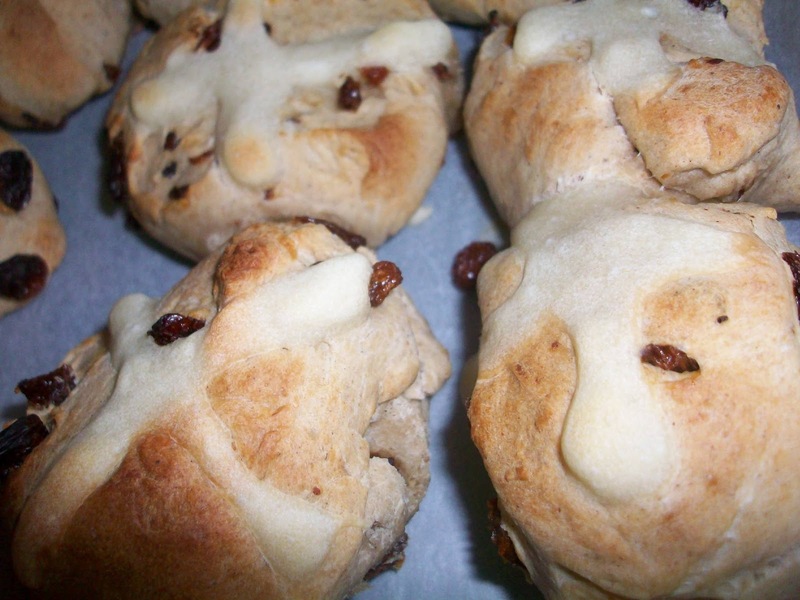 one of my most favourite is hot cross buns on good friday. we always start the day off with hot cross buns for breakfast and this year i thought i would make some homemade ones! i am cheating slightly by using the breadmaker to make things a little easier. the breadmaker i have had since i was married and it is my most favourite appliance in the kitchen bar the kettle. 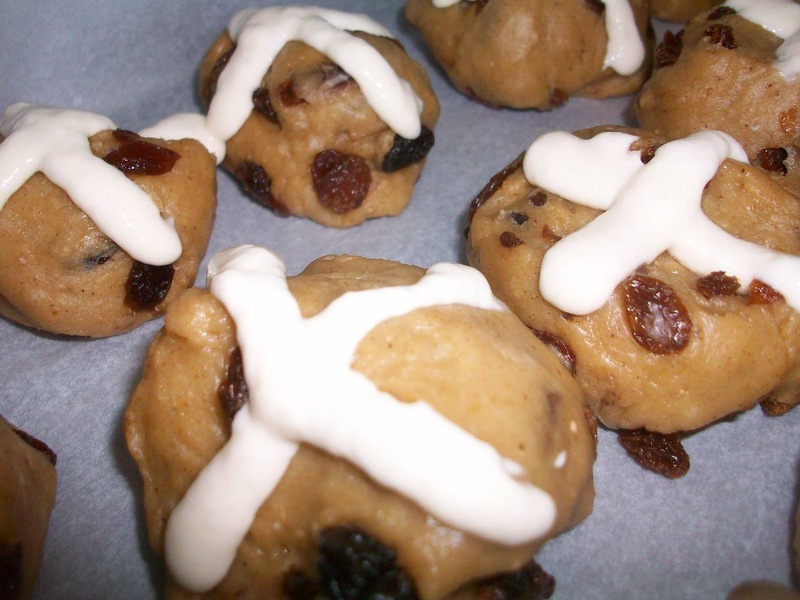 this recipe from food.com caught my eye when i was scrolling around pinterest looking for hot cross bun recipes. 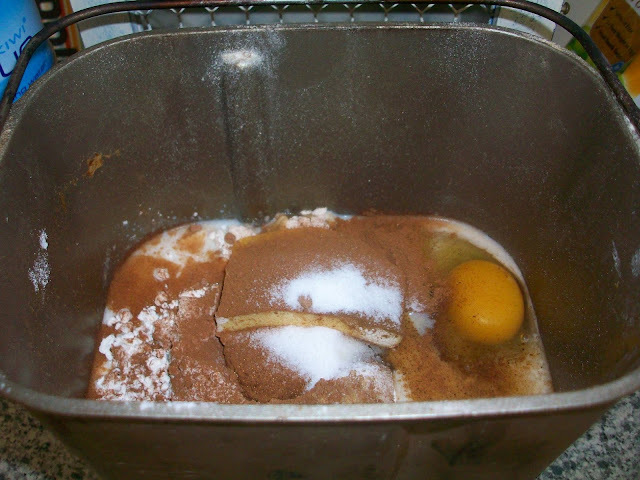 i pinned many recipes to my easter in autumn board but the one from food.com looked like it wouldn't be too hard to get right .... and when you are making something for a holiday tradition and there is no backup because the shops will be closed, you definitely need a recipe that looks easy and yummy! 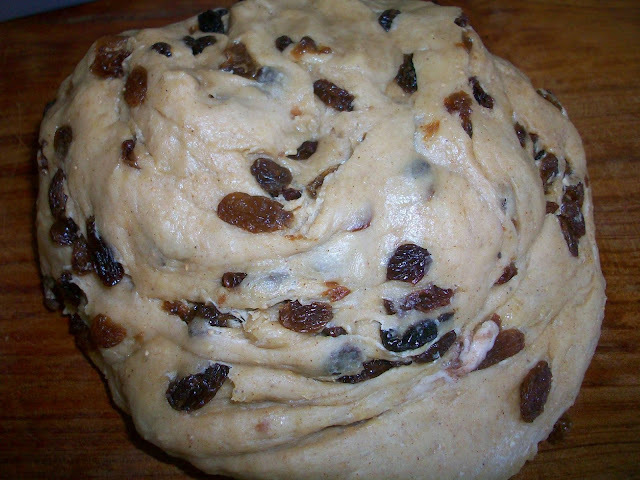 i put everything bar the fruit into the breadmaker and set it to dough with a fruit beep. then waited for the 2 1/2 hours for it to do its work. the next stage was punching the air out of the dough before forming it into buns and then waiting an hour for the dough to double in size. i then used a paste (70ml water with 50-70grms of flour) to pipe the crosses on top of the buns. then it was into the oven with them for 15 minutes. 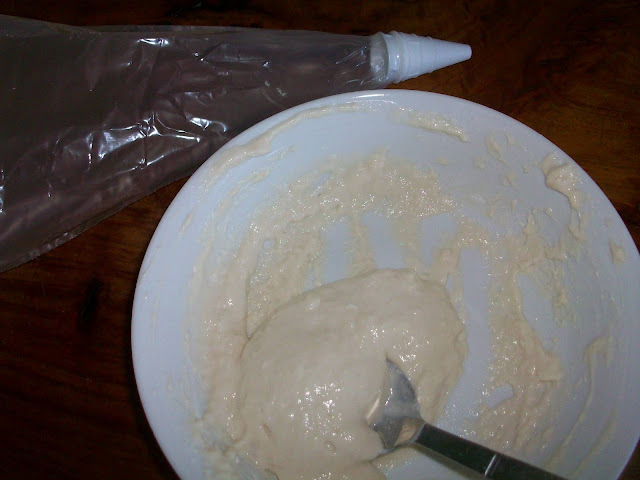 outcome: many of the comments on the recipe site suggested this recipe made a really wet dough, i had NONE of those issues, the dough came out as it should and was nice and firm. however, mine did struggle to double in size for the second proving. they went into the oven and the smell was incredible when they came out. they weren't as big as i was expecting but the one i taste tested was delicious with some butter on it :) the buns had a nice firm crust and a good light bread texture inside. i will put them back in the oven tomorrow morning to heat up and i am guessing the rest of the family will enjoy them as much as i did today!